Jose and Maria love SBI! 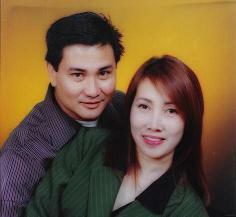 Skin-whitening-product.com is our 2nd site (with my ever-supportive husband, Jose). The first in 2006, Jose's Arizona4Pinoys.com (Pinoys refer to Filipinos of the Philippines) introduced Philippine-made skin lightening products on one page where I took over. It started to take off upon the introduction of C2 as a "Help Line" section to address questions from interested readers. Content 2.0 established my ability as an 'expert' from more than a thousand posts! I noticed that the more I answered, the more ka-ching! Heck, being an 'expert' pays - financially. And I gained a thousand smiles from buying or non-buying individuals. Why? Because they appreciate when you treat them special, even if they don't buy. It was then Ken Evoy noticed that I should start a theme-based site to address a growing consumer trust. I listened. It was the best decision I've made. And Skin-whitening-product.com was born on Jan. 2008. Now, after 2 years, my C2-driven site has another 1700+ questions, comments, testimonials and a wish list. That's over 1700 pages of FREE content! It has pulled in a ngrowing and growingumber of customers - without even having used SBI's other amazing traffic-building tools yet! From a mere $20 sale in April 2007 at Arizona4Pinoys.com, I am now enjoying an unbelievable 5 figure gross sales monthly! I now have bigger plans in the future on how to expand my (oh yeah!) home-based business and help more people. Jose will (very) soon quit as a truck driver which means we will reach another one of our goals... bringing Jose home. :-) Even our daughter is on her way to becoming a dermatologist in order to become the company's skin care doctor. Until now, we can't get over the success we've experienced thanks to SBI and C2. It has CHANGED our lives in sooooo many ways. I am amazed at the power of using C2 to sell certain products to a targeted audience that was built up from another angle. Of course both websites took advantage of keyword optimization, but the skin whitening site is driven by demand of its own now. Over 1000 pages of superb content that zeros in on specific information. And the result is astounding with a 5-figure monthly income. I know nothing about skin care, but I see the value of how C2 can really lead you to a new targeted market with fantastic business potential. Thanks for sharing and get Jose off the road soon.